Every student takes a Media and Technology class throughout the school year where they learn Media Literacy, use of and troubleshooting a diversity of technology, coding, creating their own media content and making dynamic presentations that support the speaker through all forms of media. Traditional learning methods are not completely supplanted by "screen time," as we empathize the importance of a balanced perspective and experience with technology. The Catholic moral basis for how we utilize, create, and evangelize through all media. 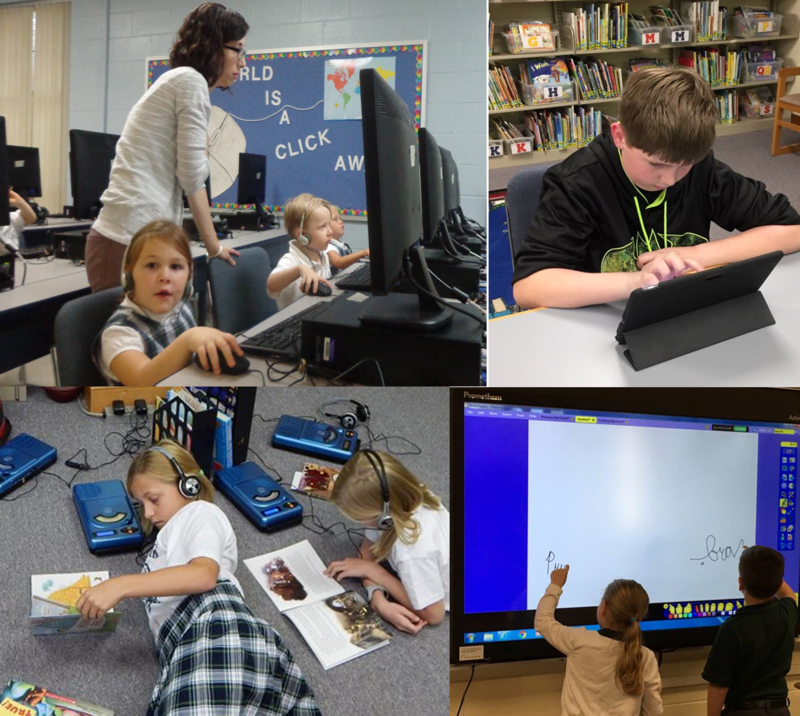 A true Media center that contains classics of literature as well as access to a variety of appropriate technology for the learning environment. Promethean boards used in every classroom. Touchscreens in the lower elementary classes.